Over the weekend, the Midwest and eastern U.S. were finally released from the grip of an icy air mass known as the “Polar Vortex." Tens of millions of Americans experienced life-threatening cold that set record lows across the region. President Trump, not for the first time, seized on the obvious optics to minimize the threat of global warming. "In the beautiful Midwest, windchill temperatures are reaching minus 60 degrees, the coldest ever recorded," he tweeted. "What the hell is going on with Global Waming? Please come back fast, we need you!" 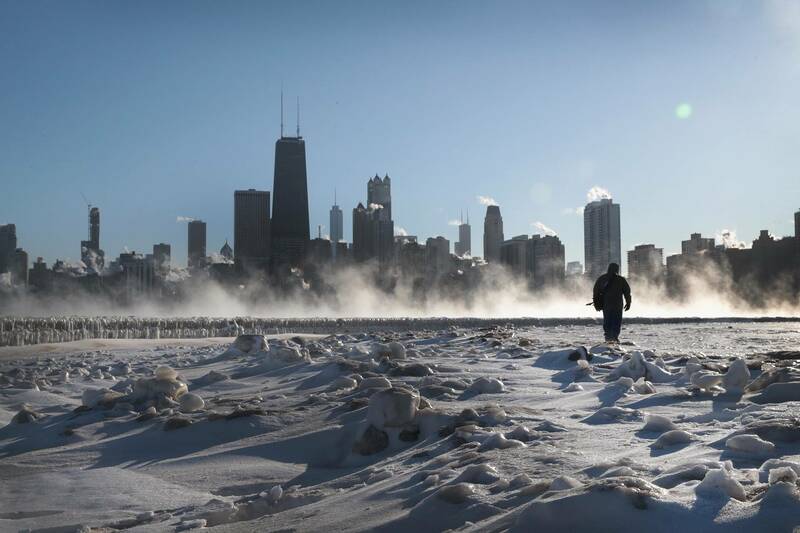 Trump wasn't alone, at least in terms of ignoring the science behind the Polar Vortex during the three days the phenomenon was the talk of the nation. A guy on The Weather Channel shattered a frozen cup of coffee using a banana; reporters from major networks stood outdoors bundled up like characters from South Park, spewing statistics and explanations of wind chill. But as to the whys and hows of what was happening, there wasn't much. NBC News did post a helpful video explainer, but some TV news organizations, in particular, really did not distinguish themselves. Lost in the TV coverage was the fact that there's good evidence warming in the Arctic is what's disrupting the circular winds that normally keep the vortex at the pole. 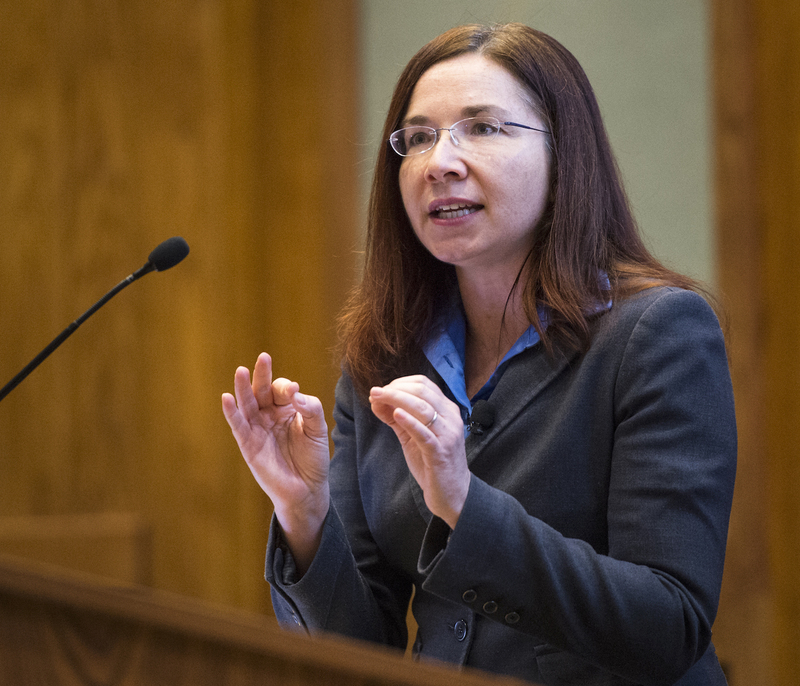 Katharine Hayhoe is a climate modeler at Texas Tech University. She was in San Francisco recently to receive the Commonwealth Club’s annual Schneider Award for climate science communications. I asked her -- it was before the polar vortex hit -- about this apparent disconnect in the media and elsewhere. Here's part of our conversation, edited for length and clarity. Here you are being given this award for climate science communications, but don't you feel sometimes like Sisyphus rolling a rock up a really steep hill? Oh, I absolutely do. I feel that way pretty much all the time on social media. Ironically, one of the most important lessons I've learned is that when we're talking about climate, science is one of the least important things to bring up, because most of the smoke screens that people throw up sound sciencey. They say, but it's cold, or it's just a natural cycle, or the world's been warmer before. But within 30 seconds or within a couple of tweets on Twitter, the conversation will take a 90-degree turn into, "I don't want the government destroying the economy. They're going to set my thermostat. What about China?" So really, it's all about solution aversion. We've been told that these solutions pose an imminent threat to our well-being, our way of life, our identity and our ideology. And at the same time, we also believe that the impacts pose a very distant threat. That's why it's so interesting that the latest poll from the Yale Program on Climate Communication that came out recently, and they found the highest levels ever of people in the United States who are concerned about a changing climate. But do you see this on the ground? You're in Texas, for example. Did Hurricane Harvey create a mass conversion of conservative Texans to acceptance of climate science? I don't like using the word conversion because it reinforces the myth that people have gone to a great extent to promote that caring about climate change is a religion, that you're worshiping the earth. Then for the 85 percent of people in the U.S. who already have a religion that they like, you're automatically setting up a conflict between their core beliefs and the idea that climate is changing due to human activities. So what I like to do is assume that most people actually have the values that they need to care; they just haven't connected the dots. If you rephrase the question, "Are people connecting the dots now? ", my answer to that is yes. Now, in very conservative Texas a lot of people aren't willing to go so far as to say it's humans yet. But over 70 percent in Texas are willing to say, "Something is different. Climate is changing." So today, I'm getting calls from organizations that I never would have heard from 10 years ago: farmers and producers, ranchers, land managers, oil and gas companies, water managers, they're calling me in and they're saying, "We know there's something going on. We want to have a conversation," and I think that's actually a very positive thing. It sounds like you think we're nearing some kind of inflection point, where more people will start connecting those dots. Why is that? I think part of that is the fact that the chickens are coming home to roost. We, today, can point to specific ways that climate change is affecting us in the places we live. I served as a lead author for the U.S. National Climate Assessment, and this is a really important document because it brings climate change down to the local level where we live. In that assessment, there were examples from across the entire country of ways that real people are already being affected today. Small towns along the East Coast where the risk of sunny-day flooding has increased by a factor of 30 already. And of course, the wildfires here in the western United States. But today, we've gotten to the point where -- not quite in real time, but we're getting there -- you can actually calculate how much stronger an event was because of climate change. You can calculate how much more probable it was. We're starting to be able to connect the dots, and many broadcast meteorologists are starting to be given the tools that they need, because, frankly, you need tools to be able to make these connections. We're starting to be able to tell you how much worse it is because of a changing climate.